these very important law changes? Do You Need C.E. Credit? This class is worth 7 Credits! Educate yourself on how to better manage your business and to avoid costly mistakes. This updated class covers issues a landlord should know, from Screening and Move-in, through Move-out and Deposit Reconciliation! Property Owners and Managers - Have you been to boot camp? Do you really know the basics? Are you up on the new laws? Real Estate Licensees - Your license allows you to perform property management services, but do you and your staff really know landlord-tenant law? Get your boots on and sign up now. Space is limited and we will sell out! 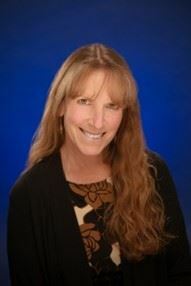 Tia Politi is a licensed property manager, rental owner, and president of the Rental Owners Association of Lane County. She worked for many years providing residential property management and eviction services, and currently works as a Property Management Supervisor overseeing four low-income apartment complexes through the Homes for Good Housing Agency in Eugene, OR. She serves as the secretary for the Oregon Rental Housing Association (ORHA), heads up the ORHA Forms Committee, serves as a volunteer instructor for St. Vincent de Paul’s Second Change Renter’s Rehab Program, and teaches classes in rental management through her association.